The recently launched Tata Zest compact sedan featured a slew of segment topping features. One such segment defining feature was the 5 speed automated manual transmission option offered with the Fiat Multijet diesel engined Zest model. The upcoming Bolt – essentially a hatchback variant of the Zest – will also feature an automated manual transmission paired to its Multijet turbo diesel motor. This feature will make the Bolt the first hatchback in India to be sold in diesel-automatic guise, giving the car a unique advantage in its segment. 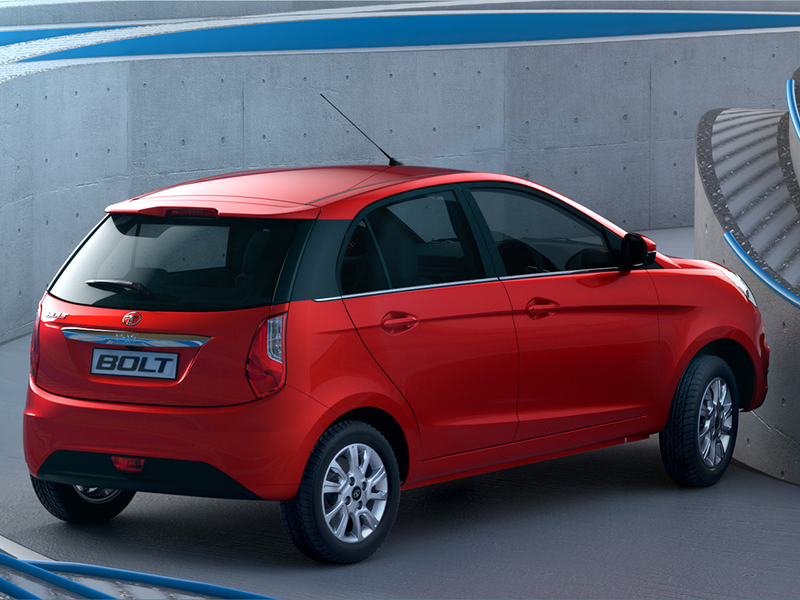 Also the Bolt AMT will be least priced diesel automatic car in India. The 1.3 liter Multijet turbo diesel engine on the Bolt is expected to use the 75 Bhp-190 Nm state of tune. The Bolt will also be sold with a 1.2 liter REVOTRON turbo petrol engine, replete with the multi-mode drive technology that allows the driver to vary the engine’s power delivery. The 1.2 liter turbo petrol motor makes 89 Bhp-140 Nm. 5 speed manual transmissions will be standard on the turbo petrol and turbo diesel engined Bolt variants. The Bolt will be launched within the next 6 months and will square off against B+ segment hatchbacks in India, such as the Maruti Suzuki Swift and the Ford Figo. Like the Zest compact sedan, the car is expected to offer generous levels of equipment at a competitive price tag, making it an out and out value buy. Expect the touchscreen infotainment interface sourced from Harman Kardon that also includes touch screen controls for the climate control system to be carried over from the Zest to the Bolt. 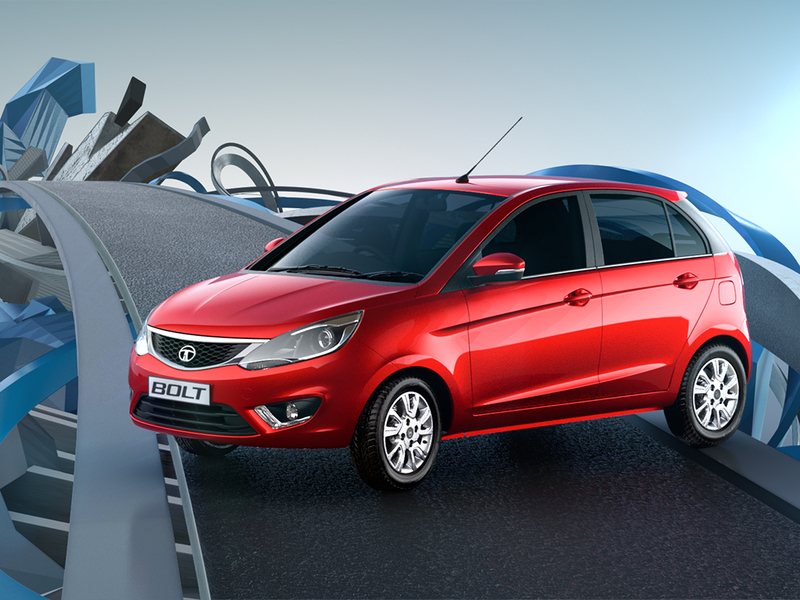 The second comeback vehicle for Tata Motors, after the Zest compact sedan, a lot is riding on the Bolt hatchback. Like its compact sedan sibling, the Bolt is expected to feature a high level of fit and finish, along with parts engineered with reliability and longevity in mind.